Conor McGregor (pictured) lied to us all. The confident featherweight predicted he would finish Dennis Siver in under two minutes Sunday at UFC Fight Night 59. While McGregor looked every bit the 14-1 odds-on favorite against the veteran, it actually took him six minutes and 54 seconds to seal the deal with a lopsided TKO victory. However, it wasn’t what McGregor did inside the cage that people will be taking about tomorrow. It’s that “Notorious” immediately hopped the fence and jumped in featherweight champion Jose Aldo’s face immediately after the stoppage to talk smack. Aldo simply stood there as cool as a cucumber smiling. The two are expected to square off later this year, possibly May in Las Vegas. 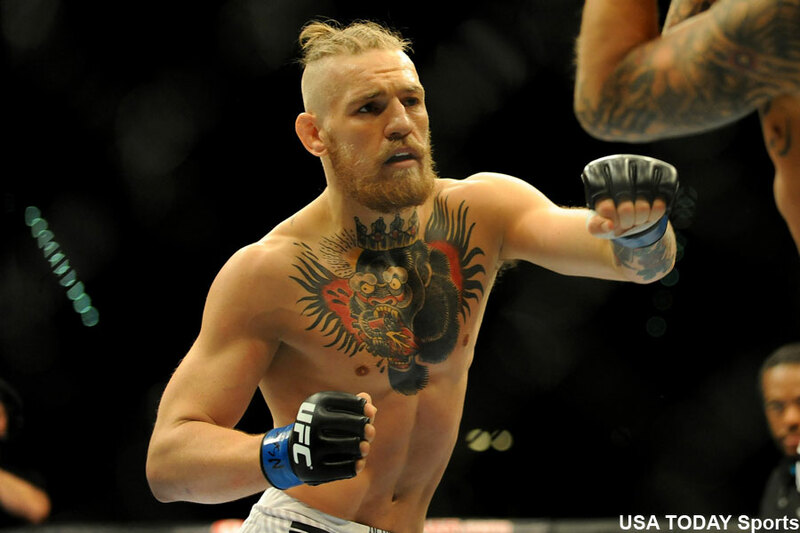 UFC Fight Night 59 took place Sunday inside TD Garden in Boston, Massachusetts.